For today’s edition of Swatch Sunday, I’m wearing a new-to-me brand, Kleancolor. I grabbed a couple bottles of Kleancolor polishes during my last trip to Atlanta, and I’m finally trying one of them out. 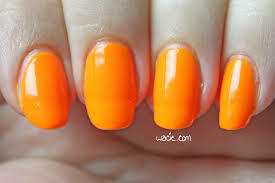 This is Neon Orange; I’m wearing three coats with one coat of Seche Vite. was on the thicker side, but this didn’t hinder its quality much. It dried quickly and with a satin finish. 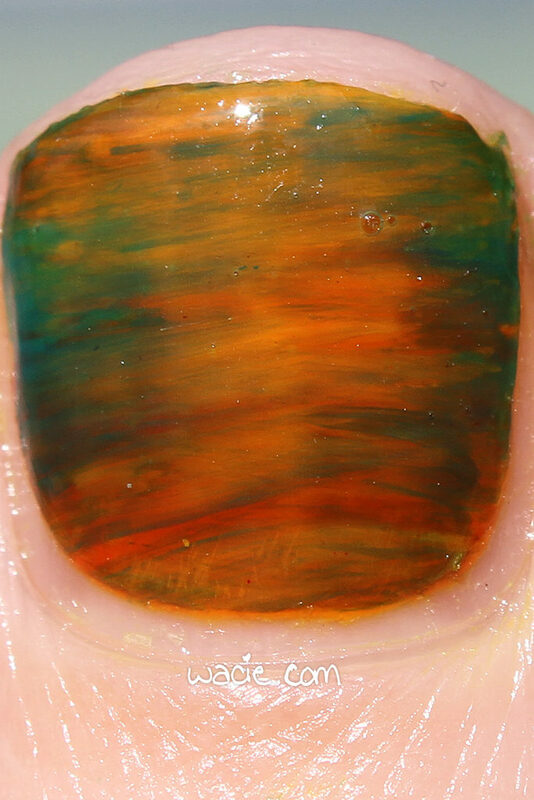 My one complaint is that it’s still not fully opaque at three coats; it’s not obvious in photos, but my nail lines were still rather visible. 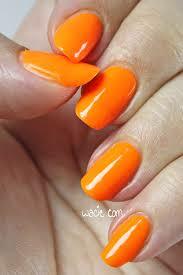 This isn’t a bad little polish. 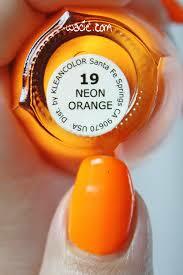 It’s pretty well-pigmented and the neon is as bright in person as it is in photos. It makes my hands tan, and it really lights up under a black light! 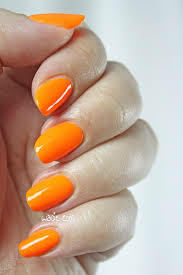 Unfortunately, neon cremes are pretty easy to come by these days, especially within the indie polish community; this Neon Orange isn’t your only option, but it’s a good option if you can find it.